Mutatis Mutandis is your trusted partner for training and education in supply chain and operations management. We offer a wide range of programs to help you to find a way to do it better. Whether you are looking to advance the capabilities of your employees or support any change or improvement program, the Operations Management Body of Knowledge will the basis to understand the scope of the subject including core competencies, requirements, and best practices in the field. As APICS is the leader in supply chain education and certification programs - they literally set the industry standard - their educational programs will be the solid basis for our offerings. For years, individuals and organizations have turned to APICS to build skills and advance supply chain performance. The APICS brand is globally recognized as the top provider of supply chain certification, endorsement, certificate and education programs. The APICS Principles of Operations Management Program is designed to give employees a solid foundation in the field of Operations Management. The program is built around a large number of sessions, which can be used depending on the needs of the organization. APICS certifies individuals on three main areas, namely, Production and Inventory Management (CPIM), Logistics, Transport and Distribution (CLTD) and Supply Chain Management (CSCP). APICS also suports two endorsement programs SCOR-P and GLA. SCOR-P endorsement is a credential awarded through delivery of a proctored exam and demonstrates a commitment to your career and an investment in yourself. 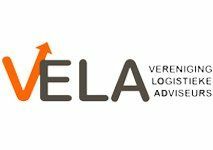 The Global Logistics Associate (GLA) is an internationally recognized endorsement program that acknowledges the completion of rigorous coursework and successful completion of an exam. With an APICS CPIM certification you show that you have the necessary knowledge and understands the essence of production and inventory management. The emphasis is on the internal operational processes of an organization and gives you a solid basis in Materials Management, Master Scheduling, Forecasting, Production Planning, and more. Since 1973 there are over 100,000 people certified in "Production and Inventory Management". This makes it an important qualification for thousands of companies when selecting staff. APICS introduced the new training CLTD 2016. With CLTD they intend to meet the increasing need for highly qualified professionals and is specifically designed for logistics, transport and distribution. Certification demonstrates in-depth knowledge of a broad range of topics to set you apart from your colleagues — proving your high level of knowledge and skills. APICS CSCP certification shows that you have superior knowledge in mastering the entire chain: knowledge of end-to-end processes. The CSCP program helps you demonstrate your knowledge and organizational skills to develop streamlined operations. Since its launch in 2006, more than 20,000 professionals in 82 countries have earned the CSCP designation. In order to become certified, you have to meet the requirements that are imposed on the program. It may be that you need to have certain professional qualifications (eligibility). When you meet these requirements, you have to pass one (CLTD, CSCP) or multiple (CPIM) exams. These examinations are held worldwide and are computer-based (CBT). The exam requirements are described in the Exam Content Manual (ECM) which is compiled by the independent in the USA-seated Exam Committee. 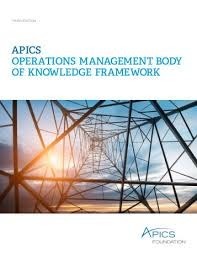 The Exam Content Manual describes the relevant part of the "APICS Body of Knowledge" for certification. To become certified you have to follow the APICS 5-Step Process to certification designation. Display your new credential with pride! The basis for assessment of APICS CPIM, CSCP and CLTD is a detailed job-task analysis, so that the certification remains in line with the needs of companies. This makes that APICS certification is recognized worldwide as the essential step in the careers of professionals in Supply Chain and Operations Management. Certified persons are authorized to proudly place certification letters (CPIM, CSCP or CLTD ) behind their name. That right arises when the exams are successfully completed. The credential is awarded for a period of five years and will be extended if you comply with the 'maintenance' requirements. Indeed, competence has an expiration date. Candidates are required to maintain their certification, by showing their dedication to their career in operations and supply chain management and help boost their standing within their organization and the industry. If a candidate does not maintain their certification by the maintenance due date, the certification is suspended. APICS Certified in Production and Inventory Management (CPIM) was established since 1971 and is well known in the logistics world. The APICS CPIM is intended for professionals who wish to further develop the entire production management and inventory management. The program focus on the internal (planning) processes of the company. APICS CPIM candidates must take two exams. Did youpass both examns, you may use the CPIM credential behind your name. The APICS Certified in Logistics, Transportation and Distribution (CLTD) designation exists since 2016. The CLT program is the choice for the ambitious professional active in logistics, transport and distribution, and want to improve the logistics function within the enterprise. APICS CLTD candidates have to pass one comprehensive exam. When you pass the exam, you may carry the CLTD credentials behind your name. APICS Certified Supply Chain Professional (CSCP) was established in 2005. The CSCP Program has been designed for ambitious professionals in operations and supply chain management. The CSCP program is the choice of the professional who wants to look beyond the walls of their own company, and be able to control the entire chain. APICS CSCP is designed to train individuals for one certification exam. 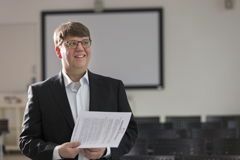 When passed the exam, the candidate may carry the CSCP credential behind his name. The Supply Chain Workshop Series are designed for those employees who have a sound basis in Operations- and Supply Chain Management, but look for a practical foundation. In each workshop specific topics are explored and practical appliance is sought within your own business situation. Participants at a workshop will become acquainted with the main concepts within a given area. Mutatis Mutandis delivers the supply chain or operations management programs tailored to your needs at any location in the world. If you are interested in one of the program options described above, please contact us to explore the possiblities.